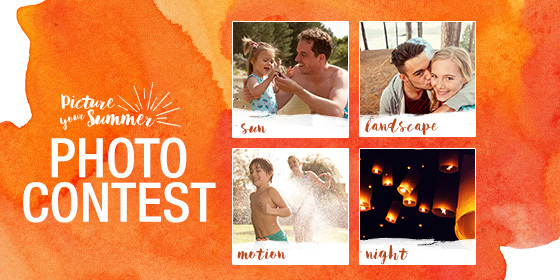 From memorable family holidays to adventures into the unknown, we’re sure you’ll be taking some original and creative photos this summer. But rather than hide them away, enter them to our photo contest for a chance to win a £150 albelli voucher (and photo products every week on our facebook page)… So don’t be shy! There are four photography themes you can enter your best photos into at any time throughout the contest: Sun, Landscapes, Motion and Night. Anything goes, but the more creative the better! You’ll find some great pro tips for each theme from our summer photographer Megan Alter on our Facebook page and our blog. Keep checking our Facebook page for our Photo of the Week (and the chance to win weekly photo products), and we’ll announce the overall winner on the 16th September 2015. So, do you already have an idea of what you could enter?